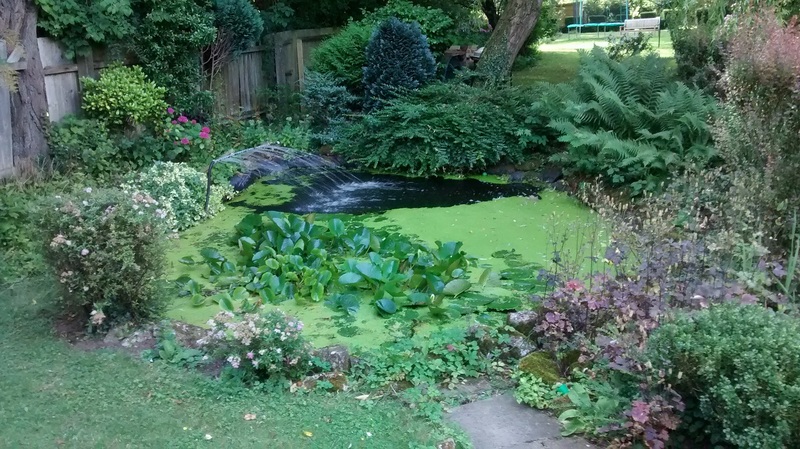 A family in Maidstone with three young children and a large pond needed some peace of mind when they were playing in the garden. 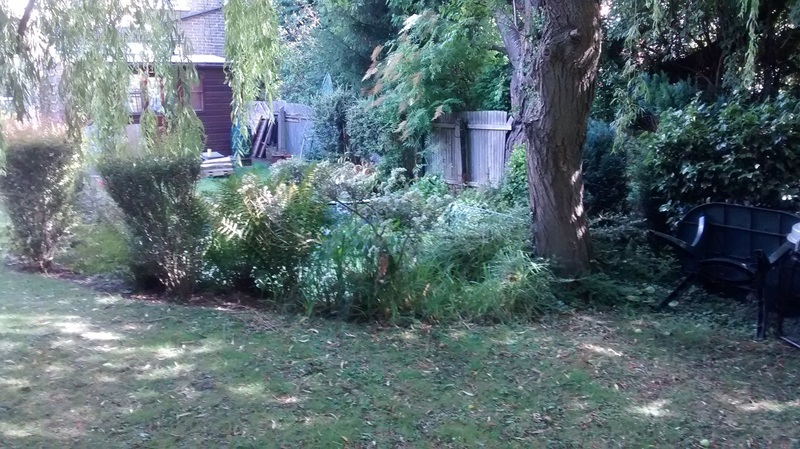 The pond is long-established with surrounding shrubs and trees and very much part of the garden. 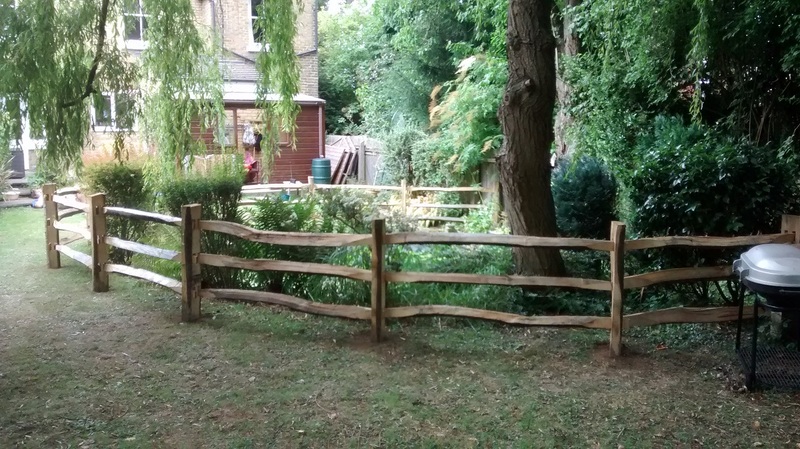 Installation of a fence needed careful thought so as not to ruin the effect. We worked with the customer to decide on the materials and design. We settled on chestnut post and rail for its rustic look and natural long-lasting properties. 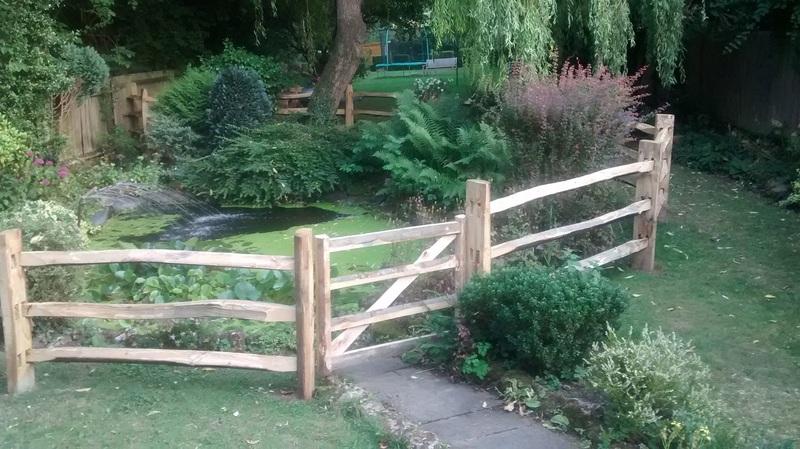 A local Kent fencing company supplied the materials, mortising the posts to our specific measurements and we made the gate from the same materials to allow safe access to the pond. Over a couple of seasons the fence will weather to silver and will look like it's always been there.